Platinum Gray Metallic exterior and Titan Black interior, TDI trim. Heated Seats, Bluetooth®, Multi-CD Changer, Brake Actuated Limited Slip Differential, iPod/MP3 Input, Diesel, Alloy Wheels, Satellite Radio, Premium Sound System, "The SportWagen retains its expensive first-rate interior, sophisticated rear suspension, and rear disc brakes." 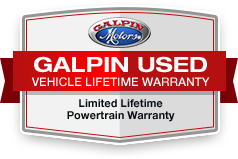 -CarAndDriver.com, Comes with Galpin's Lifetime Used Car Warranty.